Buy really fresh fish! 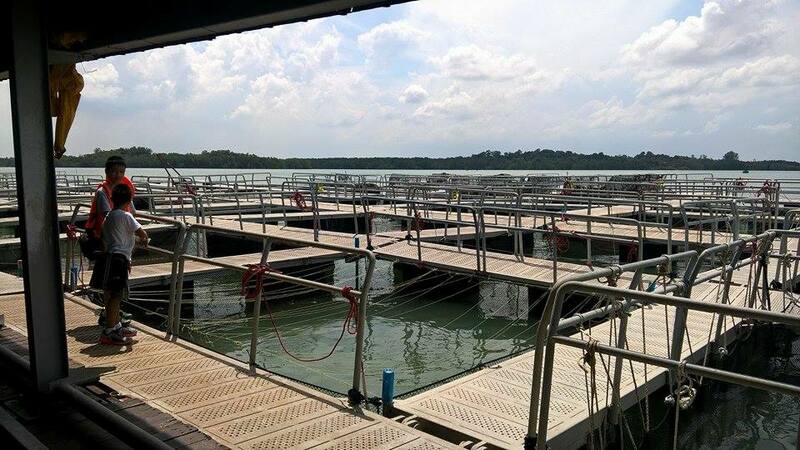 Find out more about aquaculture in Singapore and the heritage of fish farming in Singapore in this special 'Open House' opportunity every day of Pesta Ubin! 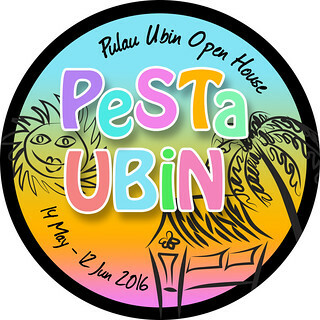 those hosting this special 'Open House'! 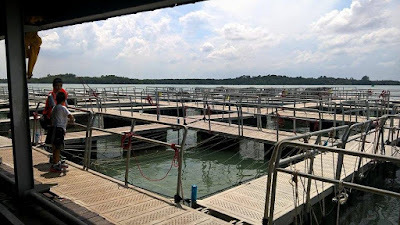 There are about 60 coastal fish farms around Pulau Ubin that raise fish for Singaporeans to eat. 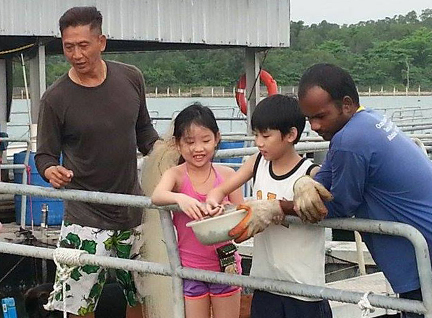 Fish farmers at Pulau Ubin have a long heritage of living on and working with the sea. Don't miss this unique opportunity to get a glimpse of the community that live and work in the waters off Pulau Ubin. 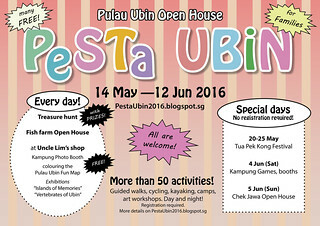 Suitable for kids aged 8 and above, accompanied by adults. 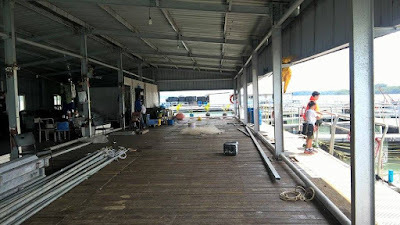 Safety equipment and procedures will be provided and explained. Minimum 4 persons per trip, maximum 10 persons per trip. 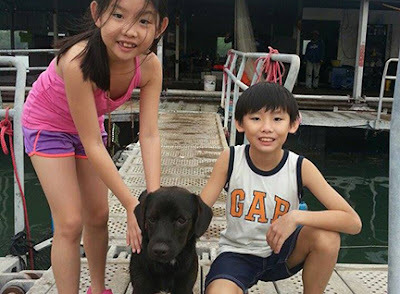 Subject to availability of free time slots at the farm. Registration required. 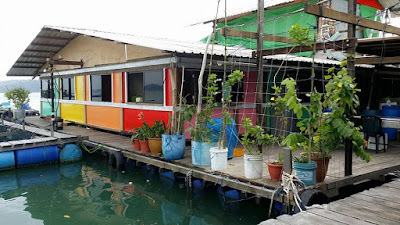 To book a trip, please leave a private message at Sea Angel facebook page giving your name, mobile no., number of people in your group and date and time that you prefer to visit the farm. More details will be provided to those who register. 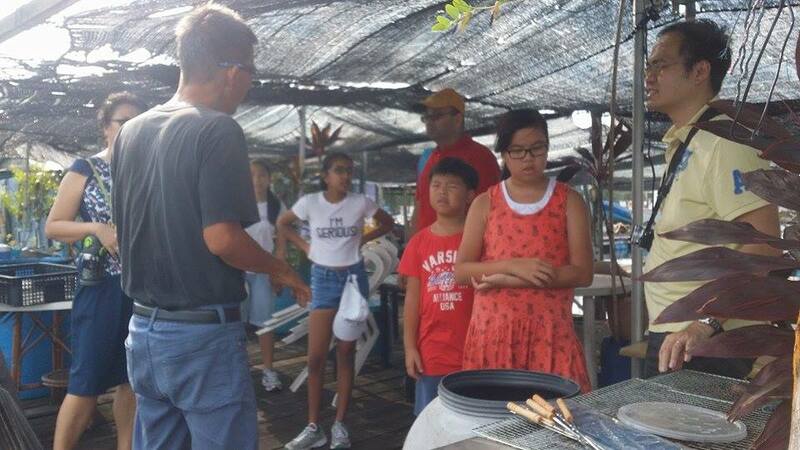 Families had fun learning about fish farming and experiencing life of a fish farmer! 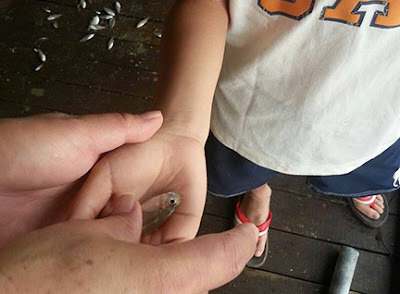 A unique opportunity for kids to learn more about how farms are operated: fishes are fed. And meet the farm dogs! I've left 2 messages but no one respond. Who can assist on the booking? Or you have too many trips to handle? At least reply so that I can make other plans instead of waiting. I'm sorry to hear about the delay in response. I have conveyed your message and I hope you will hear soon from the organisers. 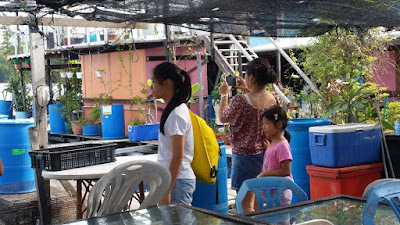 Hi, I have also left a message to book for a farm visit but have received no reply. My visit is tomorrow and can I know if it is confirmed? Leaving a message here does not allow the organiser to contact you with further details. I went there today and was told that these tours will only start next week. 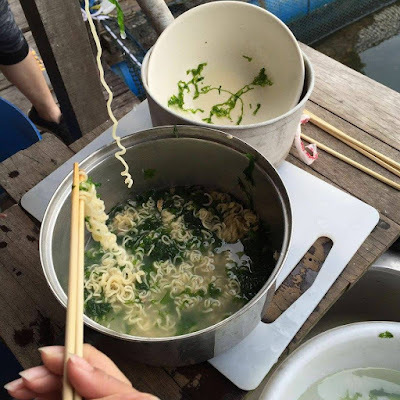 What a disappointment.And also that you need at least 4 pax. I am keen to take my family of 5. Please advise details. Pls advise contact details.